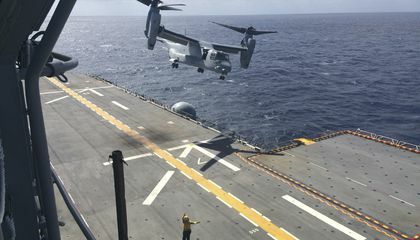 A U.S. Navy warship is bringing hundreds of Marines and sailors to boost relief efforts in Haiti. They will arrive with power generators. They will bring water purifiers and bulldozers. Haiti is a Caribbean country. It is where Hurricane Matthew has left at least 750,000 people desperately in need of assistance. Capt. James Midkiff is the commander of the amphibious assault ship Iwo Jima. He said the eight helicopters on the ship will ferry food and medical supplies for aid organizations. The Iwo Jima can also provide medical help in Haiti. That is where hundreds have died. The injured suffer unattended in hospitals as doctors warn of a surge in the disease cholera. Anger is rising in remote communities that still await aid. For the Marines and sailors, the plan is to "alleviate some of the suffering that is going on. And prevent any additional loss of life," said Lt. Col. Christopher Hafer. He is the commanding officer of the Marines' Combat Logistics Battalion 24. The U.N. humanitarian agency in Geneva has made an emergency appeal. It is seeking nearly $120 million in aid. 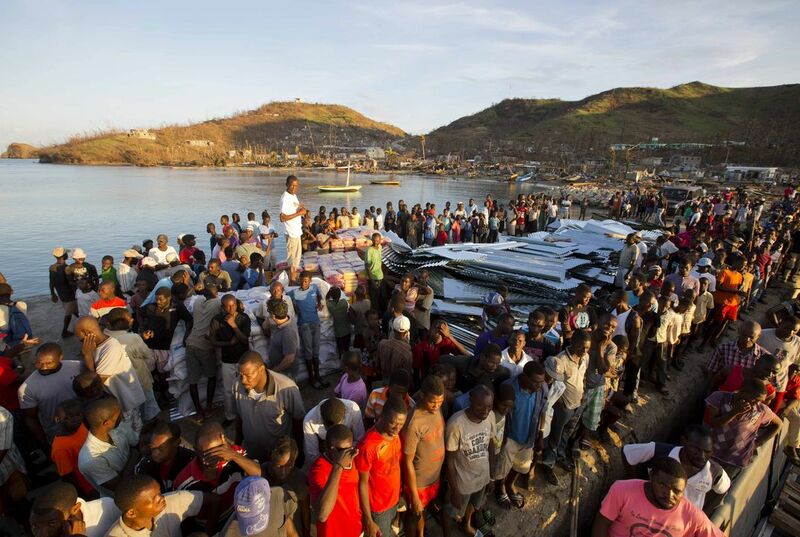 About three-quarters of a million people in southwest Haiti will need "life-saving assistance and protection" in the next three months, the agency reported. Midkiff said the Iwo Jima dodged Hurricane Matthew twice and Tropical Storm Nicole as it collected Marines and supplies. Then it headed for Haiti. The ship left its homeport in Mayport, Florida. That base was being evacuated ahead of Matthew. The Navy then directed the Iwo Jima to Norfolk, Virginia. It picked up some Marines. From there, it left for Haiti. Along the way, it faced the outer bands of Matthew. Then it sailed through the swells from Nicole. The latter strengthened into a hurricane. The Iwo Jima also collected some Osprey aircraft and more Marines from the George Washington. The GW is an aircraft carrier. The Iwo Jima will relieve the USS Mesa Verde. It is another ship that has been helping in Haiti. But now it needs to prepare for a future deployment. Matthew Estes is a 31-year-old Navy medic. He is from Corryton, Tennessee. He said he's excited to help Haitian civilians. They are "devastated down there." He was an emergency medical technician in Tennessee. He was also a landscaper before joining up. Because a hurricane just hit Haiti and they can't land anywhere dry and the sea will take them right to Haiti.